Amnesty International publishes its latest State of the World’s Human Rights report in Washington, ahead of PM Malcolm Turnbull’s meeting tomorrow with US President Donald Trump. President Trump is one of the world leaders offering us a nightmarish vision of a society blinded by hatred and fear. PM Turnbull and President Trump must renounce the politics of hate, fear and racism. As Australia risks being engulfed by the hate and fear spreading around the world, PM Turnbull and US President Trump must renounce hateful rhetoric and policies, which are setting a dangerous precedent for other governments to follow. This was the call from Amnesty International today as it launched its annual global assessment of human rights. The report, State of the world’s human rights, covers 159 countries and delivers the most comprehensive analysis of the state of human rights in the world today. During 2017 Amnesty found that dog-whistling and hate-filled narratives by governments around the world – including by Australia – gave license to bigotry and discrimination against already marginalised groups. “Over the last year hate has been inflamed in Australia,” said Claire Mallinson, National Director of Amnesty International Australia. The report finds that the Australian justice system continued to fail Indigenous people, particularly children, with high rates of incarceration, reports of abuse and deaths in custody. During 2017 Australia also maintained brutal policies towards refugees and asylum seekers by confining people in offshore processing centres in Papua New Guinea and Nauru, and turning back those attempting to reach Australia by boat. Meanwhile, increasingly authoritarian approaches to the media and to NGOs – such as through Australia’s Electoral Legislation Amendment (Electoral Funding and Disclosure Reform) Bill 2017 – have chipped away at civil society. Claire Mallinson – National Director at Amnesty International. “With Australia attending its first meeting as a member of the UN Human Rights Council next week, Turnbull must demonstrate leadership on the global stage. This begins with calling out hate and prejudice, and committing to the freedoms that Australians once held dear. And there’s no better place to start than with his meeting with President Trump,” said Claire Mallinson. “The spectres of hatred and fear now loom large in world affairs, and we have few governments standing up for human rights in these disturbing times. Instead, leaders such as al-Sisi, Duterte, Maduro, Putin, Trump and Xi are callously undermining the rights of millions,” said Salil Shetty, Secretary General of Amnesty International. Australia is also playing its part in encouraging a global race to the bottom, through exporting its brutal border protection policies. Salil Shetty, Secretary General of Amnesty International. 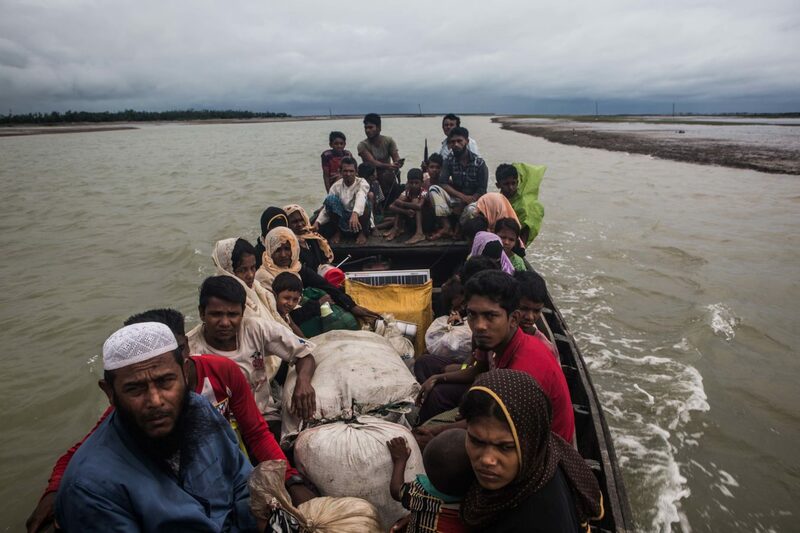 “We saw the ultimate consequence of a society encouraged to hate, scapegoat and fear minorities laid bare in the horrific military campaign of ethnic cleansing against the Rohingya people in Myanmar,” said Salil Shetty. But these regressive approaches have inspired many people to join long-standing struggles, such as the Women’s Marches around the world, and the report details many important victories that human rights activists helped to secure. These include achieving marriage equality and ratifying the Optional Protocol to the Convention Against Torture (OPCAT) in Australia and the move to finally allow women to drive in Saudi Arabia. 2017 also saw the vilification of refugees and migrants from the very highest levels of government across the world. “If you look across from Australia to Hungary, leaders treated refugees and migrants as problems to be deflected, not as human beings with rights who deserve our compassion,” said Salil Shetty. Australian Foreign Minister Julie Bishop will this week visit Hungary, and Amnesty International is calling on her denounce the country’s xenophobic anti-immigration rhetoric or its oppressive new Bill aimed at shutting down NGOs working on migration issues. The willingness of prominent leaders to tout “fake news” in order to manipulate public opinion, coupled with attacks on NGOs and other institutions that act as checks on power, show that free speech will be a key battleground for human rights this year. “In 2018, we cannot take for granted that we will be free to gather together in protest or to criticize our governments. In fact, speaking out is becoming more dangerous,” said Salil Shetty. Hundreds of activists were killed last year as authorities sought to silence campaigners and muzzle the media, the report said. The biggest jailors of journalists were Turkey, Egypt and China – where Nobel laureate Liu Xiaobo died after being imprisoned for criticizing the government. 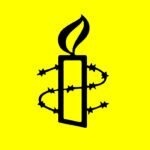 With governments shamelessly pursuing human rights activists and NGOs, Amnesty International faced threats to its work in Australia and Hungary as well as the unprecedented arrests of its staff in Turkey. “As we approach the 70th anniversary of the Universal Declaration of Human Rights in December 2018, the challenge ahead is clear. Instead of trying to silence people when they speak out, governments should address their concerns, and start by loosening restrictions on the media, civil society and other key checks on power,” said Claire Mallinson.